THE Great Barrier Reef Foundation wined and dined some of Australia's business elite over three days at a luxury island resort where private villas cost more than $2000 a night shortly after being awarded almost half a billion dollars of taxpayer funds. Private sector leaders and chief executives were treated to a snorkelling excursion and a beach bonfire in a "unique education program" at Qualia on Hamilton Island in May. The Turnbull government announced in late April that it would partner with the foundation through a $444 million agreement to tackle crown-of-thorns starfish, reduce pollution into the reef and mitigate impacts of climate change. The massive one-off grant was then passed on to it on June 28. 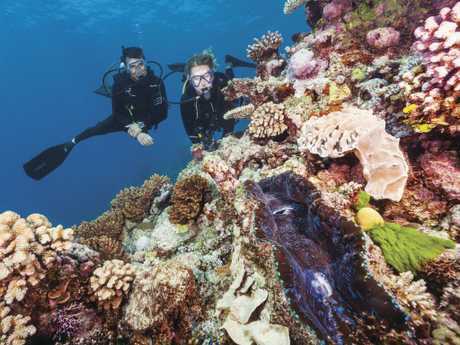 Scuba diving at Agincourt Reef, Tropical North Queensland. The Chairman's Panel program reveals high-flying participants in the May education program only had to sit through about five hours of information sessions during the weekend conference. 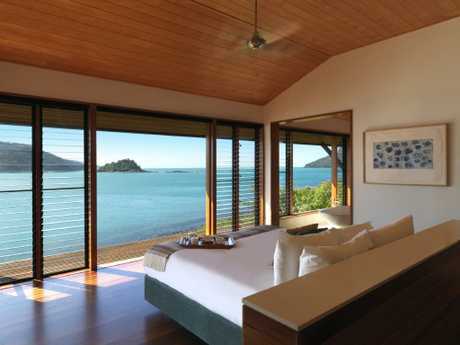 Qualia's website describes it as a "special place where everything has been meticulously considered to relax the mind and completely spoil the senses". A foundation spokeswoman said the meeting briefed members on the organisation's research projects and allowed them to see first-hand the recovery efforts implemented following Cyclone Debbie while also informing them of the "importance of tackling climate change". "The costs for this meeting are covered by a portion of their membership fees," the spokeswoman said. On the first day of Parliament's return, Prime Minister Malcolm Turnbull and Energy and Environment Minister Josh Frydenberg were questioned over the grant, which was not subject to a competitive tender process. Labor environment spokesman Tony Burke said there was a "serious conflict of interest" with the foundation divvying up its huge grant among banks with connections to it. The foundation's managing director Anna Marsden told a parliamentary hearing the grant was being held across a series of term deposits: "We bank with a range of bankers." The money, which is earning up to $11 million in interest a year, was deposited with the ANZ, Bank of Queensland, Commonwealth Bank of Australia, National Australia Bank, Suncorp and Westpac. 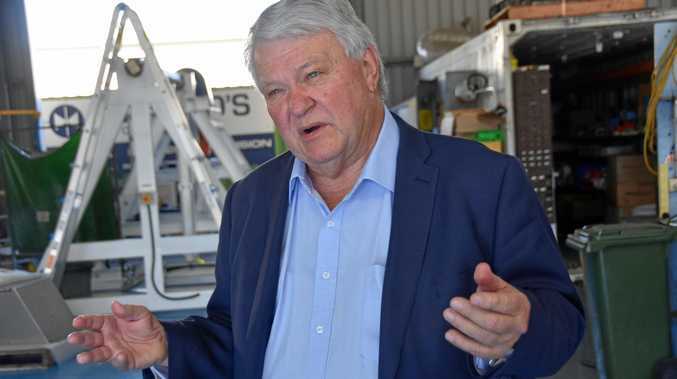 Mr Burke said the banks all have affiliations with the foundation, including its chairman John Schubert who is a former chairman and deputy chairman of the Commonwealth Bank and its director Michael Cameron, who is CEO and managing director of Suncorp. The banks are either current or former members of the foundation's same Chairman's Panel, which contributes financially to the organisation.